When Cara Marshall is transported to Narenta, she is proclaimed champion of its people against the sorcerous daemagos. 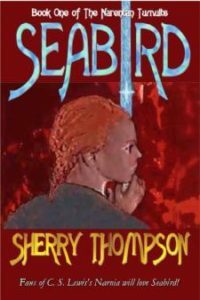 Amid the grateful welcomes, Cara protests that she has been “world-napped.” Book 1 of the Narenta Tumults fantasy series by Sherry Thompson. When Cara Marshall is transported to Narenta, she is proclaimed champion of its people against the sorcerous daemagos. Amid the grateful welcomes, Cara protests that she has been “world-napped,” and wants neither her title nor her mission. With no knowledge of weapons or magic, can she save the Narentans and find her way home? Book 1 of the Narenta Tumults fantasy series.